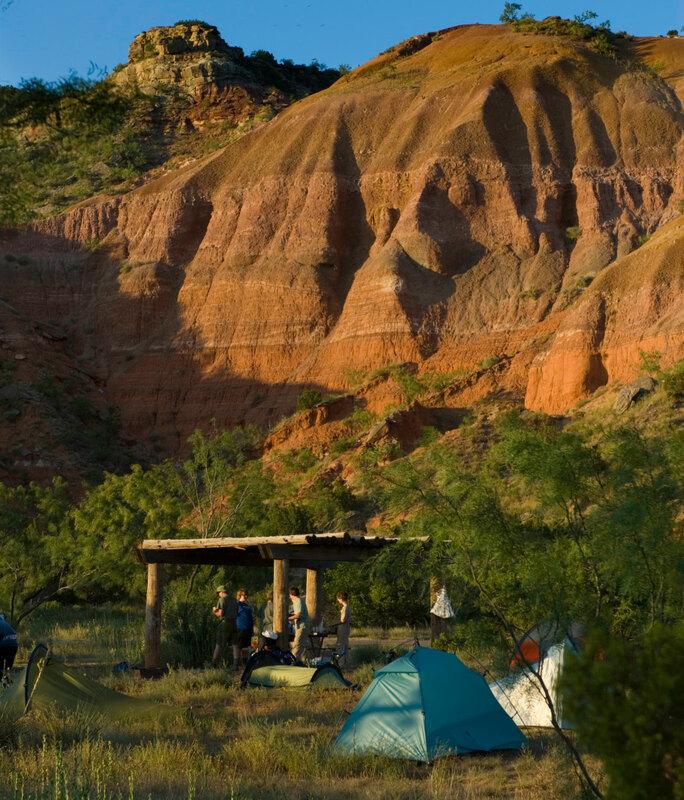 The Texas Parks and Wildlife Department unveiled a new reservation website today that allows visitors to book specific campsites and reserve day-use passes online—features designed to make reserving a site and checking into a park more efficient for both visitors and park employees. “In a few short years, Texas State Parks will be 100 years old, and one of the things we want to do is modernize, and this system is part of that,” said Rodney Franklin, director of Texas State Parks, at a Monday news conference. After working on the new system for more than four years, the agency said it hopes the website alleviates problems such as RV campers arriving at a park to find that none of the open campsites are big enough for their equipment; or day-trip travelers arriving at popular parks such as Enchanted Rock State Natural Area or Balmorhea State Park to discover the park is full and closed to new entrants. The new website is also more mobile friendly. 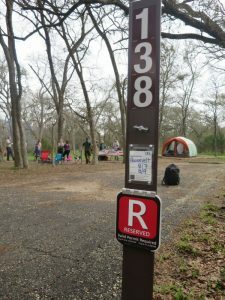 Under the new system, campsites in Texas state parks will have flip signs noting whether they’re reserved or available. For day-use, the system enables visitors to book an arrival time for parks that tend to reach capacity. For example, at Enchanted Rock—where busy days result in overflow vehicle traffic lining up along RR 965—visitors can book a pass in advance to arrive at 6:30 a.m.-8:30 a.m., 8:30 a.m.-10 a.m., 10:30 a.m.-12:30 p.m., 2 p.m.-4 p.m., or 4 p.m.-10 p.m. The entry windows do not limit how long visitors can stay in the park, officials said. For example, if your pass designates a 10:30 a.m. arrival, you can stay until the park closes. McKinney Falls is also a park that fills up when the weather’s nice. Under the new system, the park will have arrival slots of 8 a.m.-2 p.m. and 2 p.m.-10 p.m.
What if you buy a day-use pass online, but show up after your arrival window? Agency officials say entry would not be guaranteed, but they’ll accommodate such scenarios as much as possible. With the new system, campers will pay their full reservation fee in advance; under the old system, campers only paid a partial deposit. Day-use passes will also be paid in advance when booked online. Campers and day-use visitors will still be able to purchase walk-up passes, but the agency hopes online reservations will expedite the check-in process at state parks by cutting down on transactions. Customers who’ve booked campsites through ReserveAmerica.com for campgrounds owned by the Corps of Engineers or National Forest Service will recognize some similarities in the new Texas State Parks site. 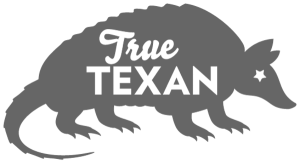 The agency worked with a Dallas-based vendor called Aspira, which owns and operates ReserveAmerica.com.